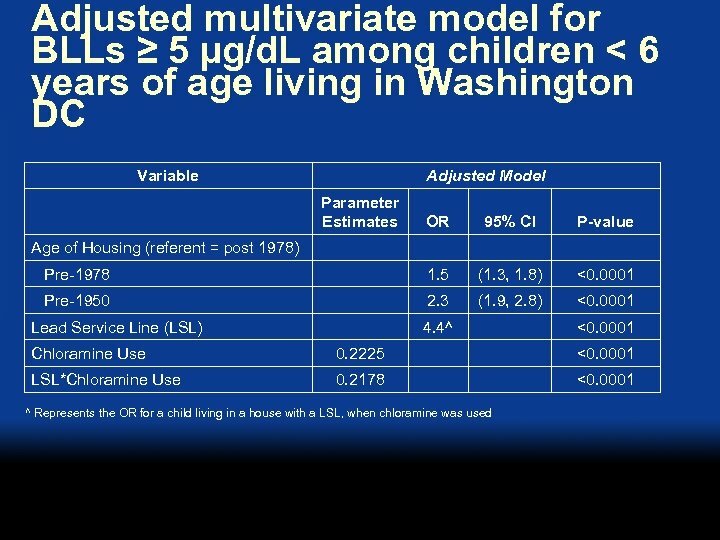 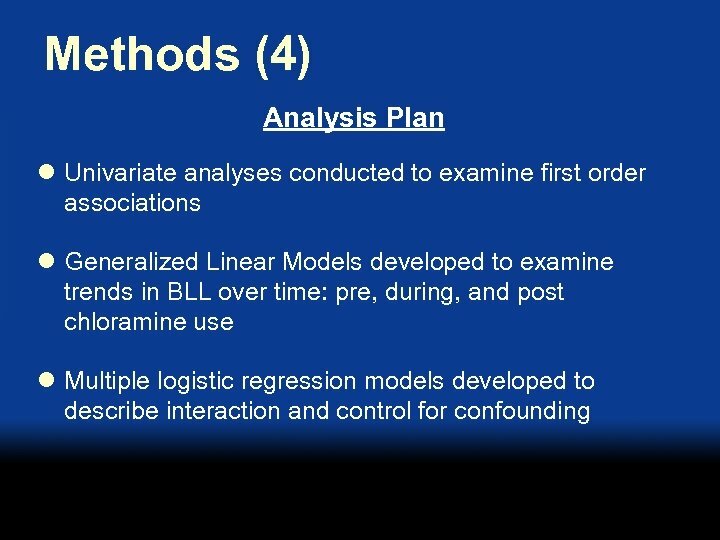 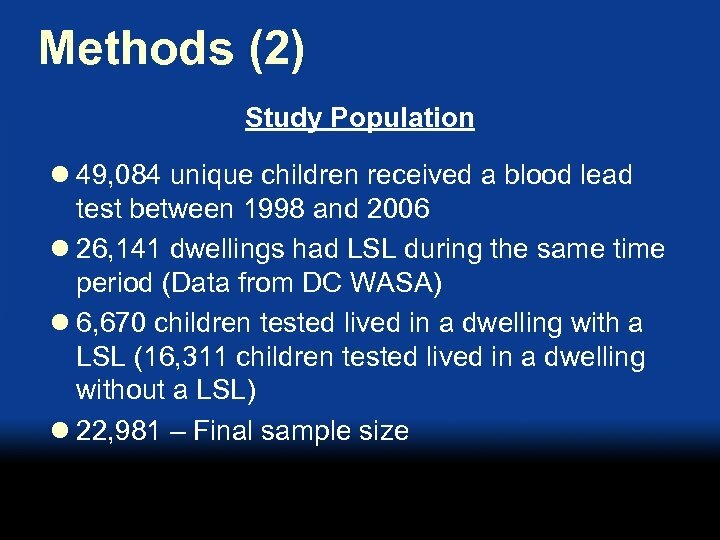 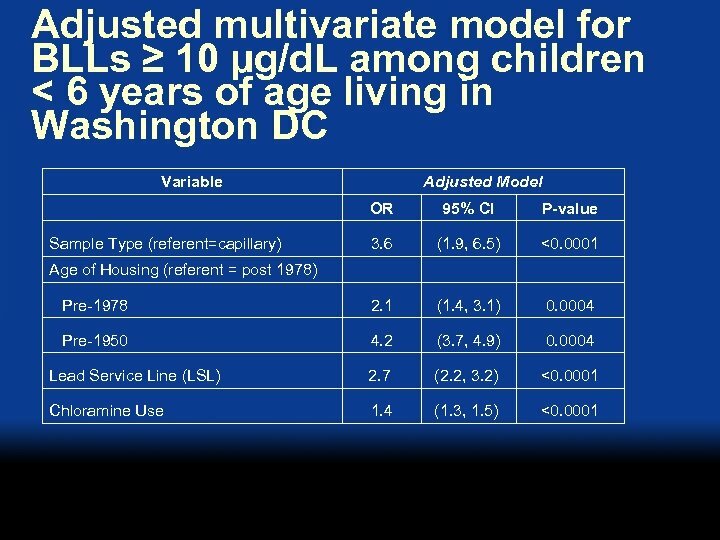 Hypotheses l Association between LSL and BLL among children < 6 years of age living in Washington DC. 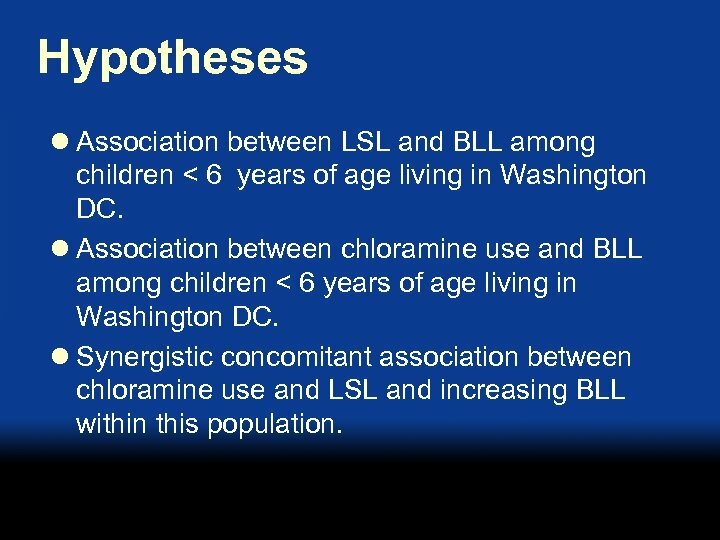 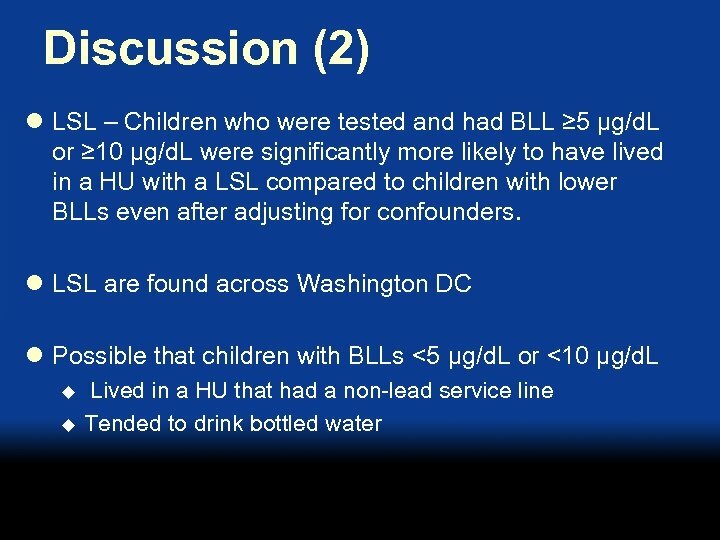 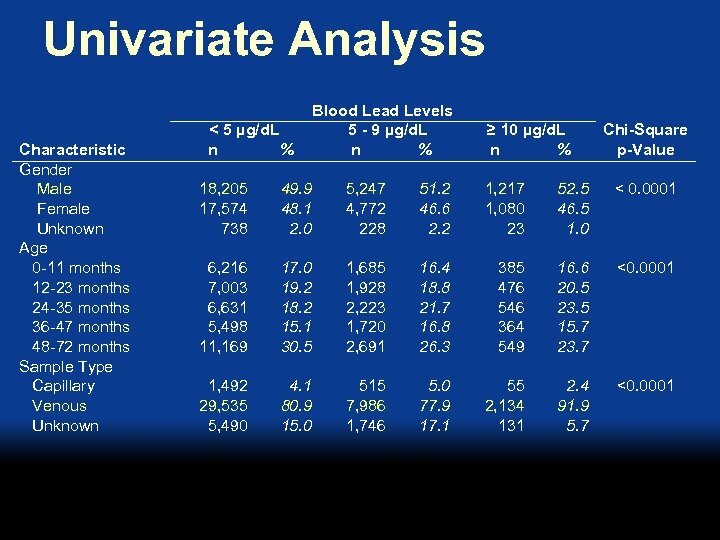 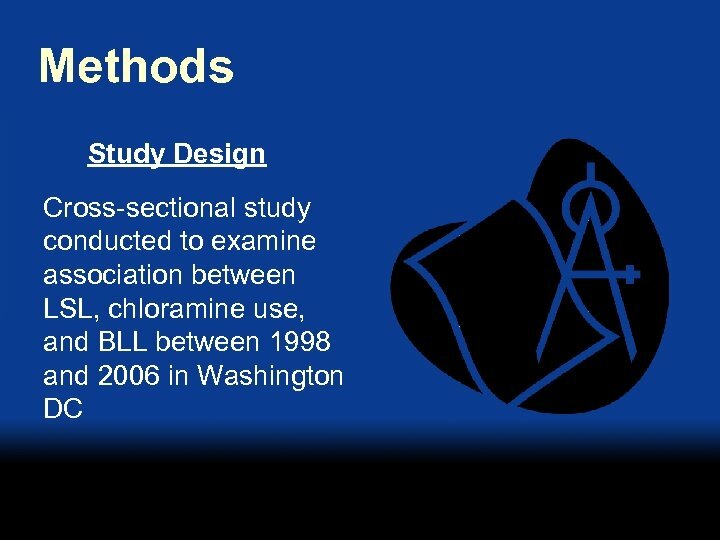 l Association between chloramine use and BLL among children < 6 years of age living in Washington DC. 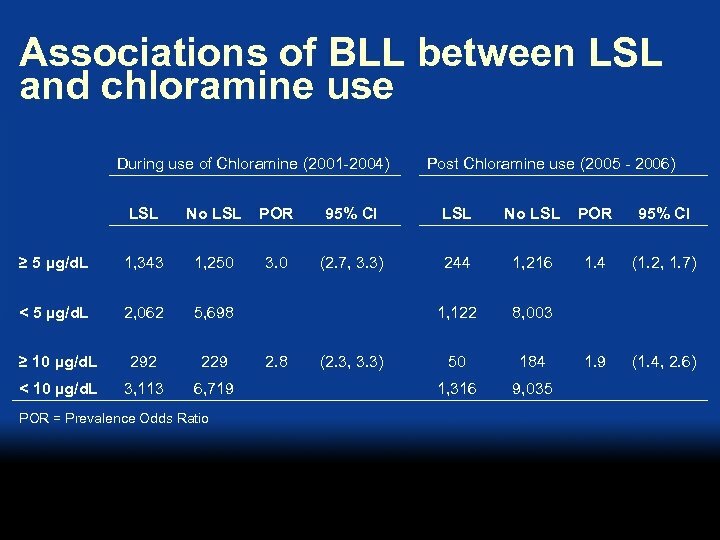 l Synergistic concomitant association between chloramine use and LSL and increasing BLL within this population. 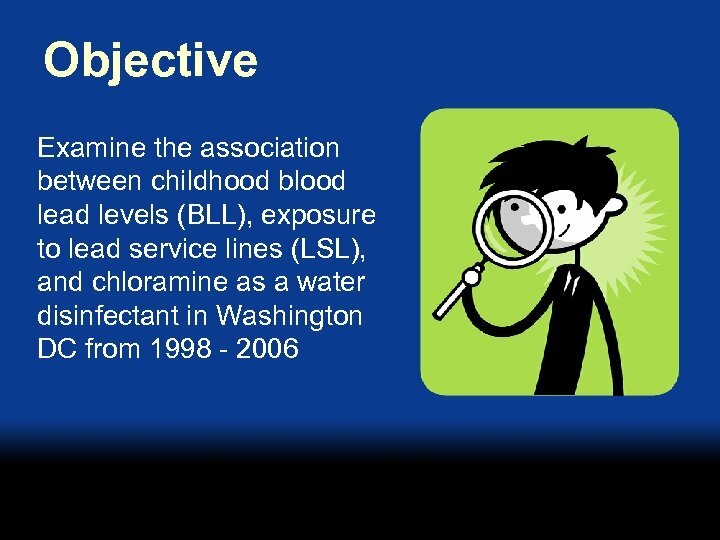 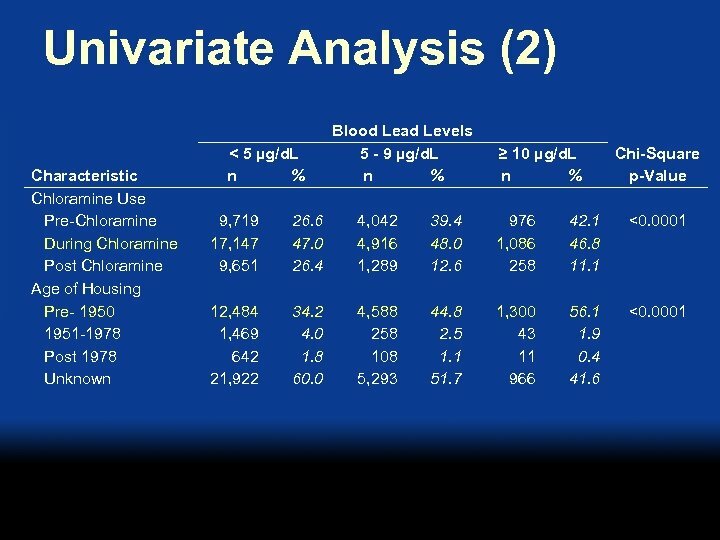 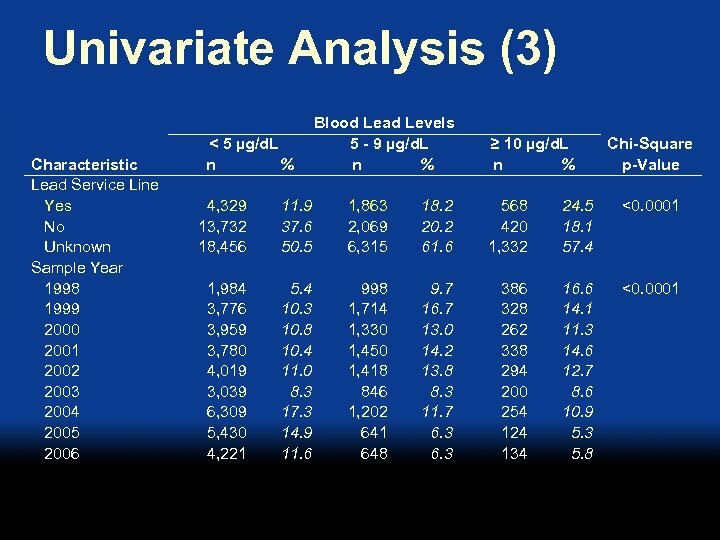 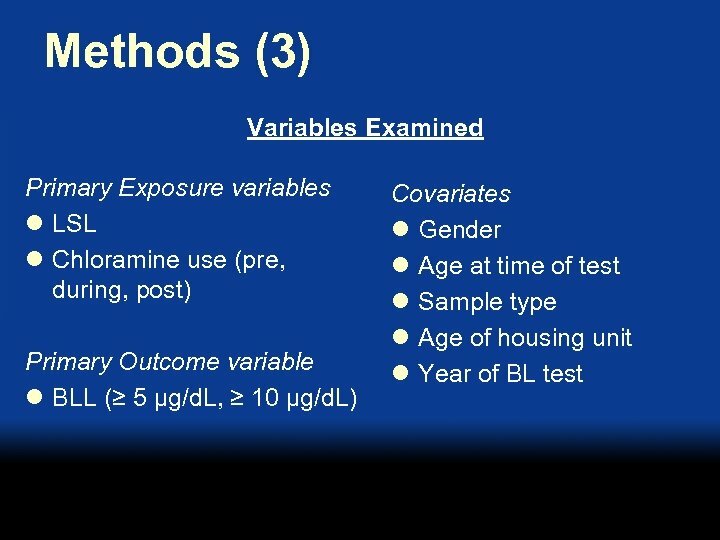 Discussion (3) l Chloramine use – The proportion of children tested with BLL ≥ 5 µg/d. 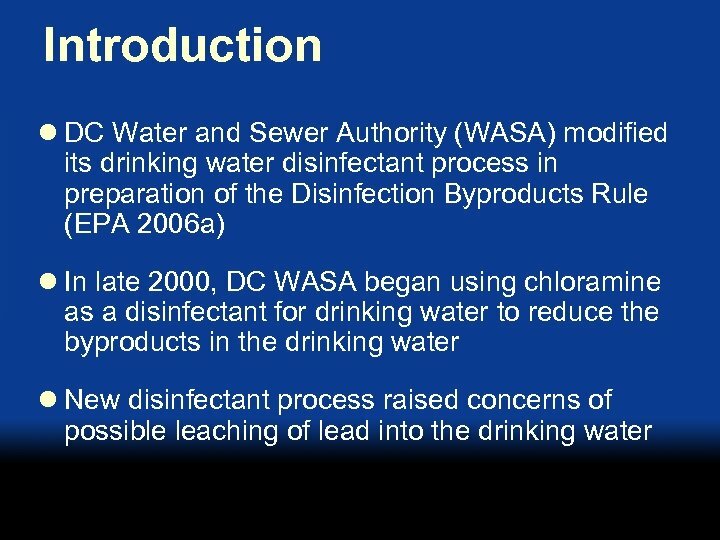 L or ≥ 10 µg/d. 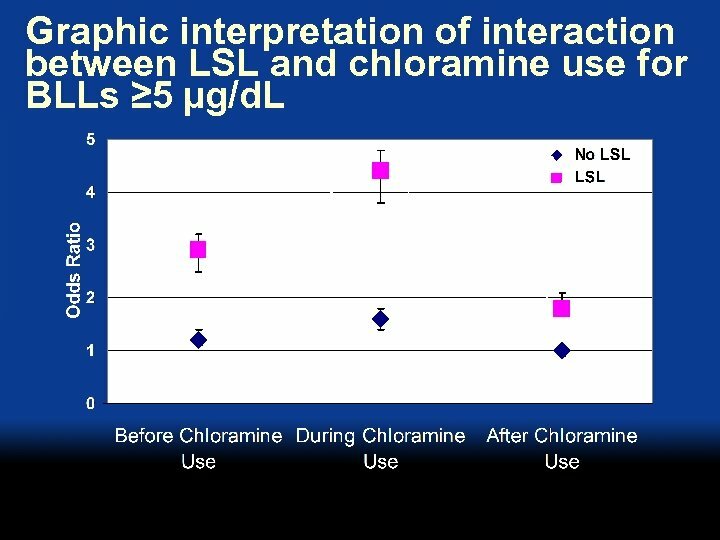 L was significantly higher during the time that chloramine use was in effect compared to after use was discontinued. 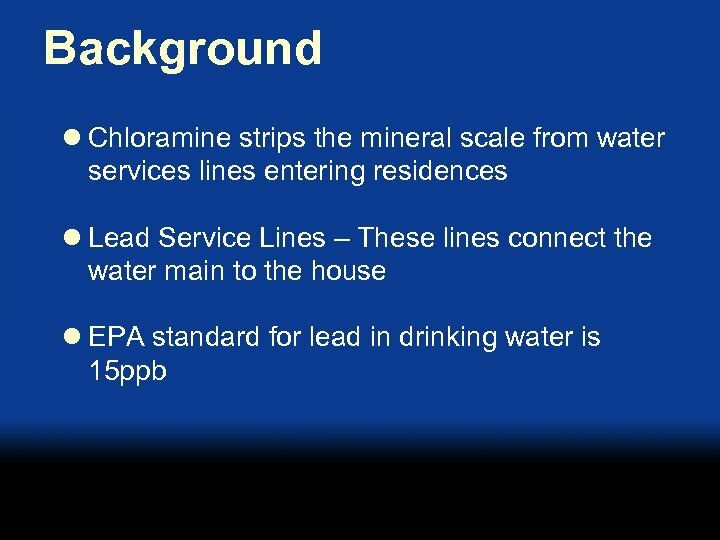 l Chloramine may have stripped the lead from LSL resulting in subsequent leaching into the drinking water. 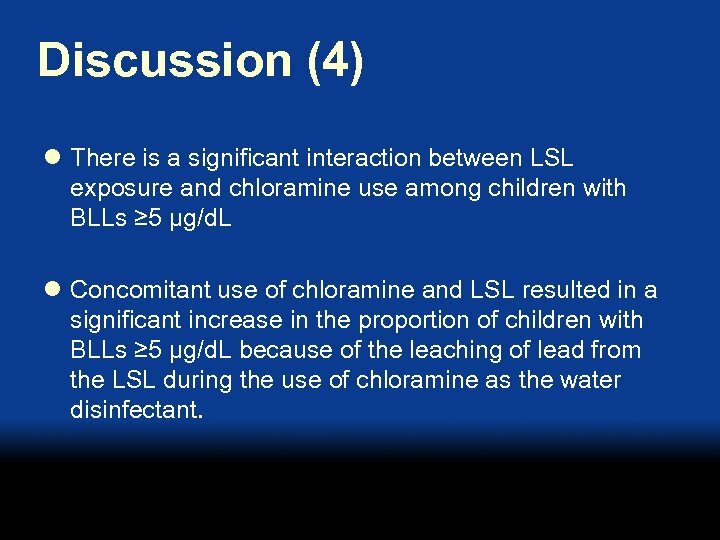 Discussion (4) l There is a significant interaction between LSL exposure and chloramine use among children with BLLs ≥ 5 µg/d. 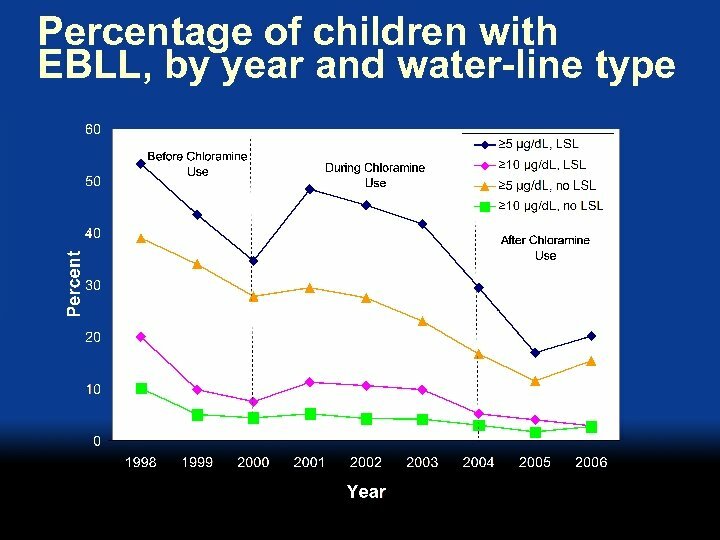 L l Concomitant use of chloramine and LSL resulted in a significant increase in the proportion of children with BLLs ≥ 5 µg/d. 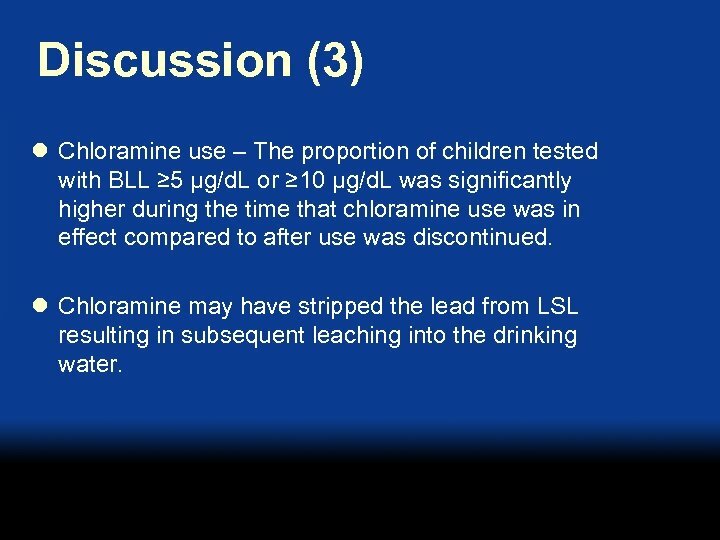 L because of the leaching of lead from the LSL during the use of chloramine as the water disinfectant. 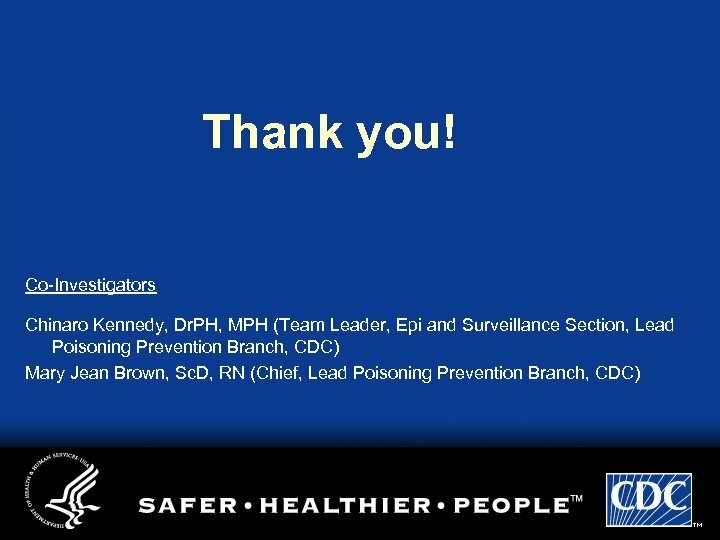 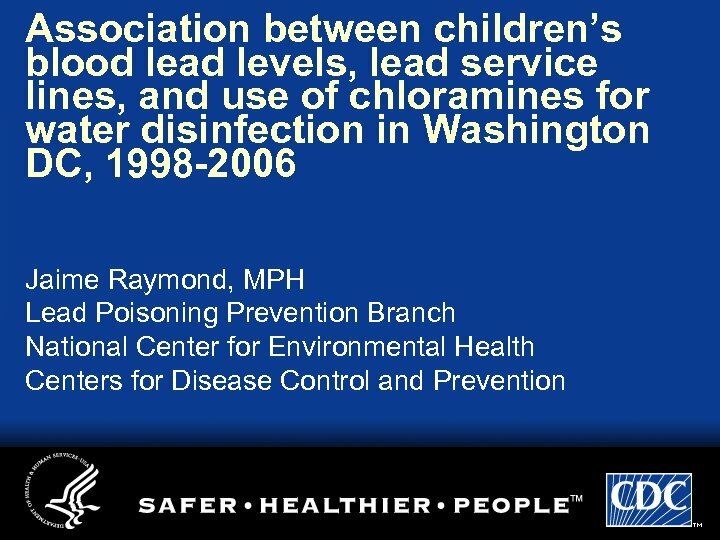 Conclusion l The use of chloramine in the water system as a water disinfectant may have caused LSL to leach lead into the water, contributing to the raise of BLLs in young children. 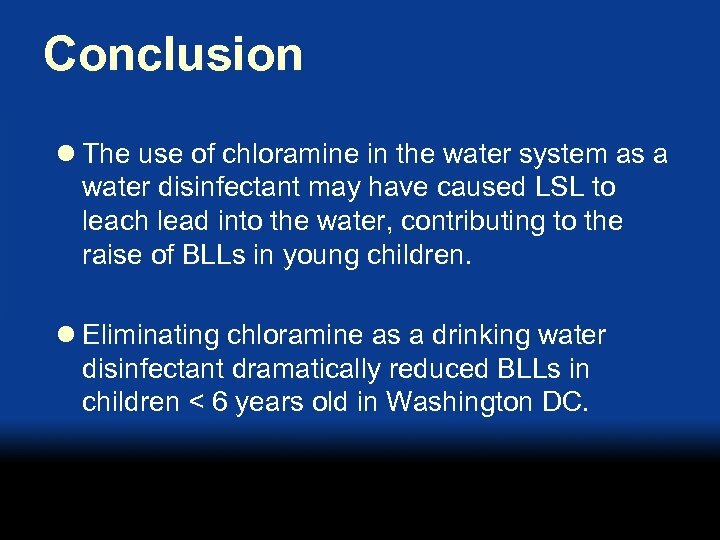 l Eliminating chloramine as a drinking water disinfectant dramatically reduced BLLs in children < 6 years old in Washington DC. 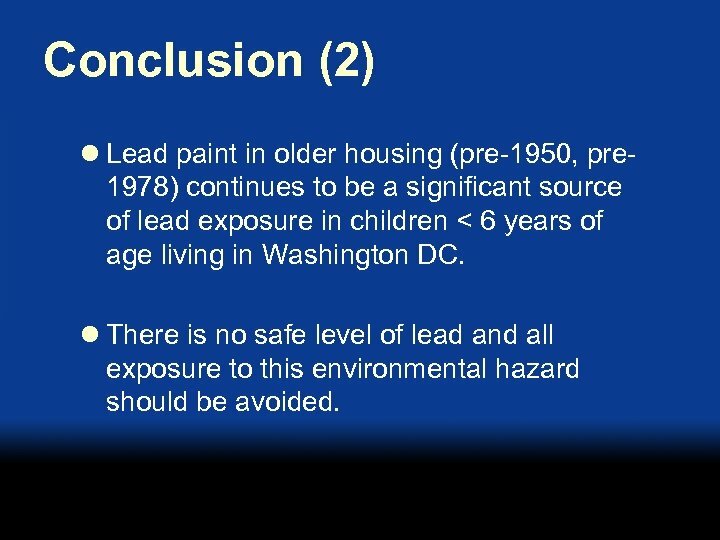 Conclusion (2) l Lead paint in older housing (pre-1950, pre 1978) continues to be a significant source of lead exposure in children < 6 years of age living in Washington DC. 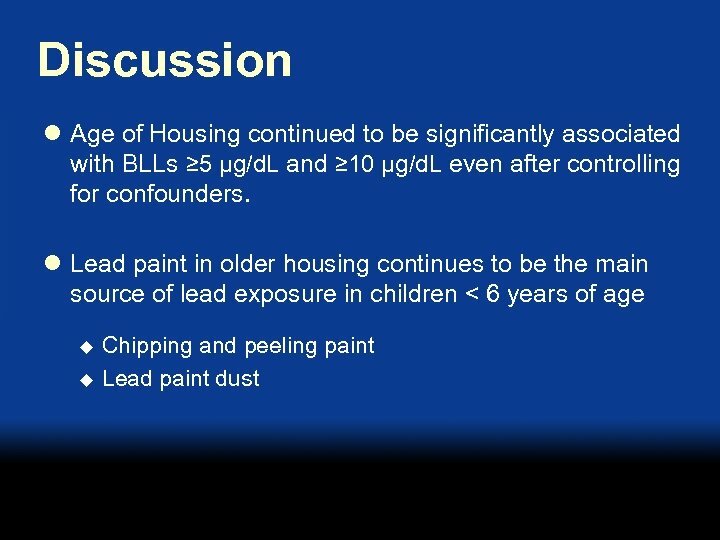 l There is no safe level of lead and all exposure to this environmental hazard should be avoided.